Village at Chapel Hill Middletown townhouses for sale. The Village at Chapel Hill Middletown is an upscale townhouse community. Construction started on this community in 2006, and was completed in 2009. There are 120 homes in twelve buildings. AS a result, this means there are ten townhouses to each building. There are six different models of townhouses in The Village at Chapel Hill Middletown. The homes have either two or three bedrooms with at least 2.5 bathrooms. Some of the models include a library, two models include a loft which could also be a fourth bedroom. And – all of the models have either a one or a two car garage. These homes are eligible for FHA financing. As a result, qualified buyers can purchase with a cash down payment as little as 3.5% or the purchase price. This approval expires November 2019. Commuters will love living here because of the location. The Village at Chapel Hill Middletown offers easy New York City access. Bus service is available, at a Park and Ride or on Route 35 or Route 36. Besides, the New Jersey Transit train is available at the Middletown station or in Red Bank. In addition, the Sea Streak ferry is nearby. Also, it’s only minutes away from the iconic downtown Red Bank and the Jersey Shore! Students will attend the school system in Middletown. There are 17 schools with over 10,000 students. Further, there are a number of private schools in the area. Students may also attend one of the specialty high schools in the Monmouth County Vocational School District. 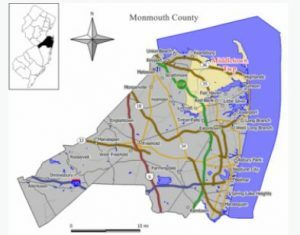 Brookdale Community College is located in Middletown as well. There are also many private schools in the area, such as Christian Brothers Academy, Red Bank Catholic and more. When you add the fact that Middletown offers an exceptional school system, the choice is clear. Call 732-598-7700 to see the Village at Chapel Hill Middletown townhouses for sale today!